I go on a lot of wine country trips, but my Colorado adventure is based on spirits. On day two it was time to get to some serious sampling of what the area had to offer in food and drinks, but first I had some mountains to check out. 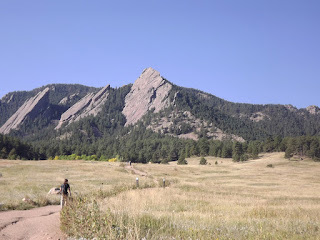 After a good night’s sleep in my beautifully decorated room at Hotel Boulderado, Kim from Boulder’s visitor’s Bureau picked me up and we headed up to Chautauqua Park. It was a clear and warm day and she told me about this beautiful place as we walked the trail. I honestly could have spent the day in the fresh Rocky Mountain air, but I had a job to do and the first course of business was at Boulder Distillery & Clear Spirit Company. Boulder Distillery is just a bit bigger than most garages, yet you would not believe all the spirits that come out of there. 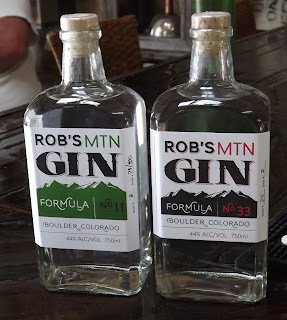 They are most known for their 303 Vodka which is “infused” on the premises with seasonal ingredients. 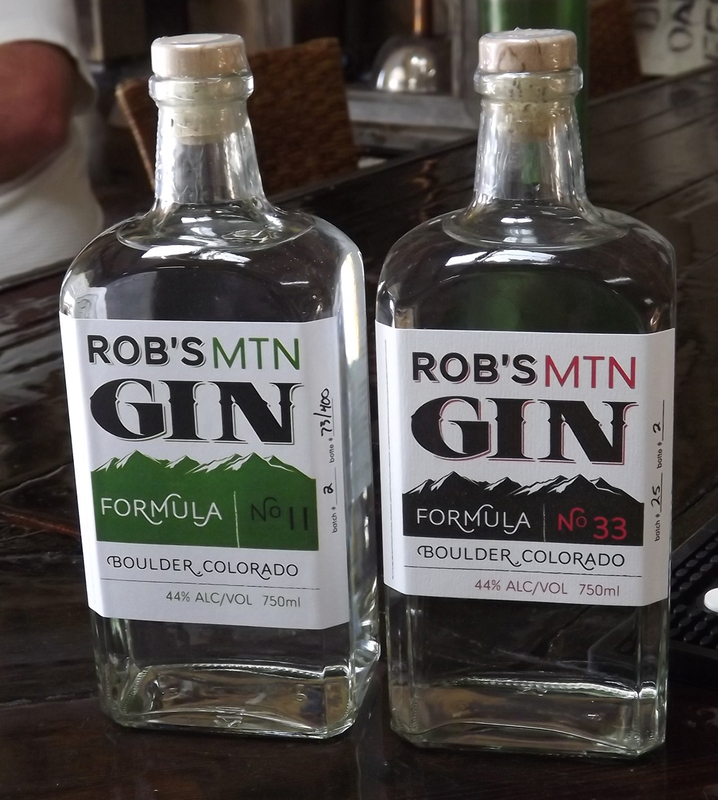 The Colorado liquor laws actually allow for distilleries to not only serve samples, but to act as bars, with cocktail menus and events. This has been taken to the limit at 303 – in a very good way. 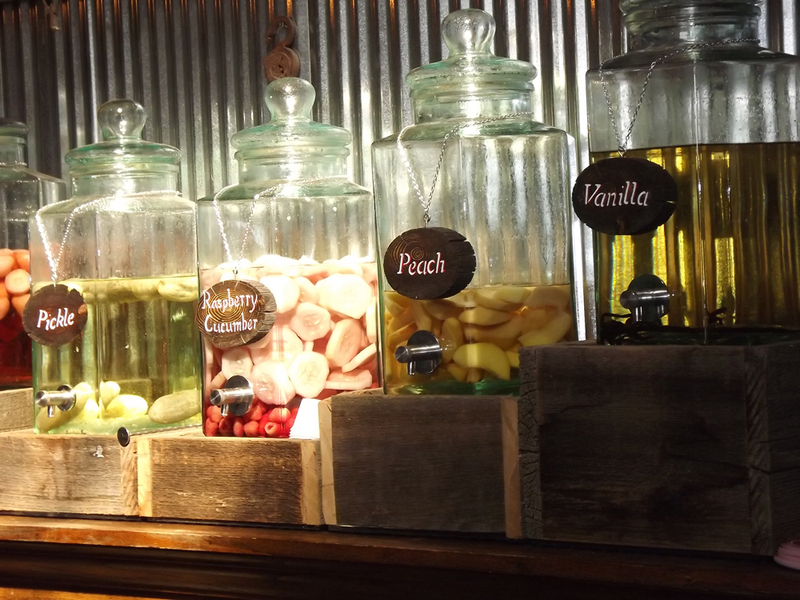 First, we have the infused vodkas. 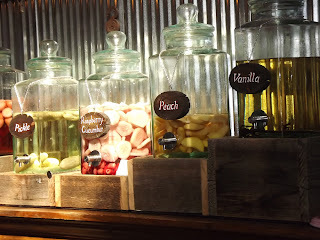 On my visit, the choices were Vanilla, Peach, Raspberry Cucumber, Pickle, Strawberry and Olive. I sampled a bit of them all and could certainly tell the difference between these freshly infused libations (with organic fruit) and flavored vodkas in bottle. I was encouraged to try some of the cocktails and before I knew it there was a Pickletini in front of me. Yes, pickle infused vodka with pickle juice and pickles. 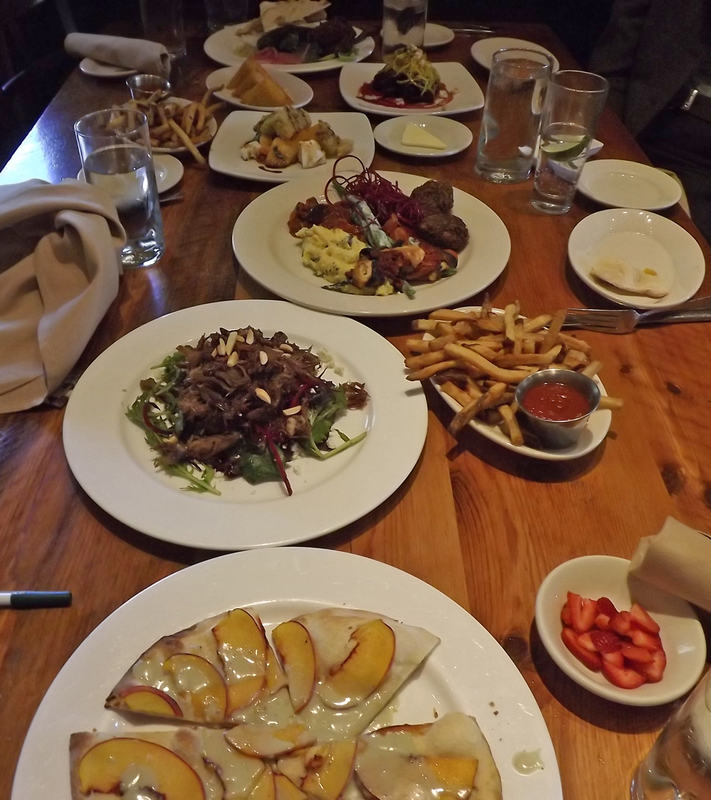 My last stop in Boulder was at Salt Bistro and it was quite a food and drink extravaganza. Kim and I were joined by the restaurant’s public relations rep, Kuvy, Beverage Manager Evan Faber and my friend Jackie, who works at nearby Babolat. We were quite a large group, but we didn’t have to worry about running out of food as it looked like they brought out everything on the menu! The theme was as I saw it on this trip – fresh and local, with lots of fruits and vegetables. Before we knew it, the table was filled to the brim with such treats as Quinoa Fritters; Tomato Salad with Mint; Vegetable Tasting (with the best soft polenta I’ve had); Duck Confit Salad (perfectly cooked); Peach Flatbread; and Fried Polenta with honey. 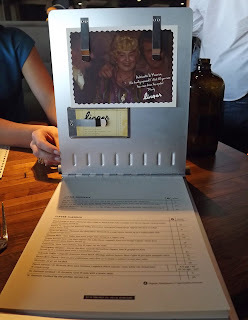 As good as the food was at Salt, I was most impressed with the drink options. Stoddard came up with an ingenious idea: Pick your glass size, add your favorite liquor; chose a flavor; and pick a style. Patrons are actually given a menu to mark off their choices in each category. 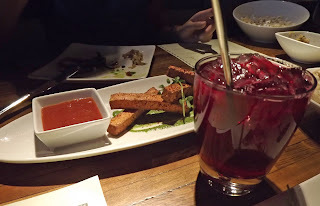 I had two small ones – a Gin & Blackberry Martini and a Rum, Mango & White Wine Sangria. Elysia from Colorado Tourism drove me back to Denver. I had a few hours back at the hotel to try to get my ailing computer to function (and work up an appetite) before Elysia picked me up for dinner. It’s not often you get to have dinner in a mortiuary, or even a former one. That’s exactly what Linger is. 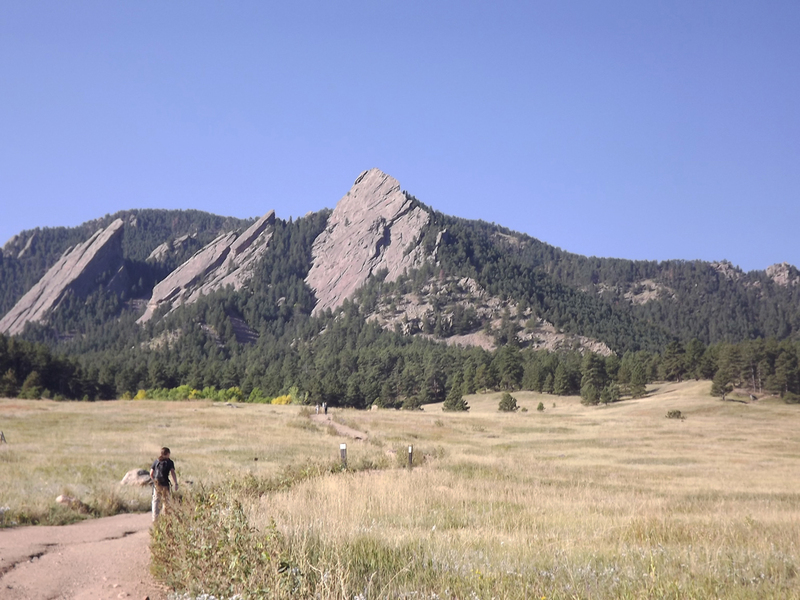 It’s a large restaurant with great views of Denver in the home of the former Olinger Mortiary. The restaurant plays on that theme throughout, with everything from menus that look like charts to business cards that look like body tags. Elysia is a vegetarian and I always welcome meatless nights, so we decided to fill the table with small plates. Linger divides their dishes into the areas the dishes originated and we picked an assortment that covered the bases: Meze Plate with Smokey Eggplant Spread & Naan from Africa; Saag Paneer Fries with Rhubarb Ketchup & Spinach Puree and Masala Dosa from Southwest Asia; Carrot & Lentil Kofie with Tahini Yogurt wrapped in Lettuce from Eurasia (my favorite); and Cold Peanut Noodles from Asia. To go with our food, we had Linger’s Bar Manager Anika Zappe mix us up a few specialties from her seasonal cocktail menu. I enjoyed the Pueblo Chili Flip and Elysia had The Last Sunset, with a Colorado Coffee to finish off. 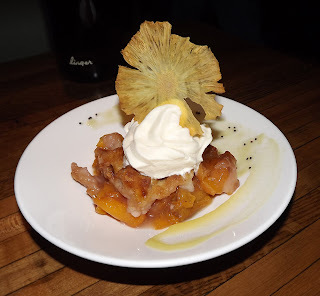 We ended the day on a perfect note, with a freshly made cobbler with Colorado peaches, topped with homemade vanilla ice cream. It was time to call it a night because there were still more spirits to check out in the morning.